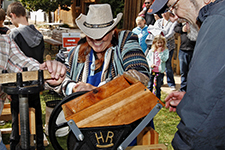 Lakewood's annual Cider Days celebration offers fun and excitement for the entire family. Enjoy a variety of kid-friendly activities, press your own apple cider, and listen to live music and entertainment. Cider Days hosts the same great experience both Saturday and Sunday, and your admission covers all family-friendly activities and entertainment.